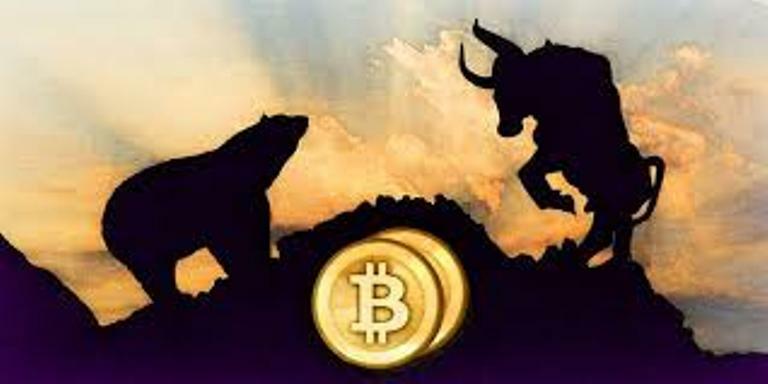 Bitcoin seems to be swinging on a narrow ledge between bears and bulls, and that seems to be putting the crypto’s market at an uneasy position. On September 5, the crypto market saw an unprecedented shake-down after news broke that Goldman Sachs had scrapped its plans to build a crypto trading platform. Within 24 hours, Bitcoin had shed off a whole $1,000 in value. By the morning of September 6, Bitcoin was worth $6,400, down from the impressive $7,400 of the previous morning. That came right after the coin made a few steady gains over the last few weeks, but the gain was reversed after the events of September 5. Since then, the market has been squeezed in a very narrow trading range between a bullish run and a bearish downturn. However, the value hasn’t hit the $6,000 bottom, signaling the possibility that Bitcoin might have finally realized its bottom value. In fact, the sell-off panic had already ended by the time Bitcoin hit down to $6,100 when the bears ran out steam. The current situation on Bitcoin’s hourly chart represents a narrow range between the lows and the highs, a situation that could be referred to as the symmetrical triangle in technical terms. If the bears break lose, Bitcoin’s price could see a drop below the $6,000 barrier – a price that the cryptocurrency last saw back in February 2018. On the other hand, the bulls could charge and get the price up to the 10-day short-term moving average (MA) marked at $6,660. At the moment, some technical indicators fall in favor of a bearish trend, especially seeing as the range between the highs and lows has been widening. Looking at the Stochastic chart, there’s some indication that the market could experience some selling pressure that could culminate in a price dip. As a matter of fact, the news that SEC had suspended the trading of some crypto-linked securities eelier in the week didn’t help matters as the market seemed to feel the hit. However, that’s not to say that there hasn’t been any good news for the Bitcoin market. A Bitcoin-based mutual trust fund has just been approved in Canada. Also, SEC is set to deliberate on the application tabled seeking the approval of a Bitcoin ETF by end of September. That said, the crypto market has been known to rise from the ashes. Who knows what could happen to Bitcoin in the coming weeks?